With the 150th anniversary of the start of the Civil War being observed this year, I was reminded of the 100th anniversary in 1961. That year, I took an 8th grade history course from Mrs. Vivian Schurfranz at Hillcrest Junior High School (Fayetteville, Arkansas), and the Civil War was one of the main topics of study. Mrs. Shurfranz, a native of Iowa, was an excellent teacher, one of my favorites, and she taught the course in a factual and non-ideological way. We were not subjected to stories about the noble South or the "Lost Cause." We did not have to refer to the Civil War as "the War Between the States" or lament the mistreatment of the South by the repressive victors. The year that I took Mrs. Schurfranz's course, she announced that she would not be returning to teach at Hillcrest. She was having some success in writing historical fiction, and she wanted to devote more time to it. In the Summer, 1965, I took my first course at the University of Arkansas, Introduction to Western Civilization, and Mrs. Schurfranz taught that course as an adjunct. At the time, she was working on her history MA degree, which she received in 1967. Soon after getting her degree she moved from Arkansas to Illinois. 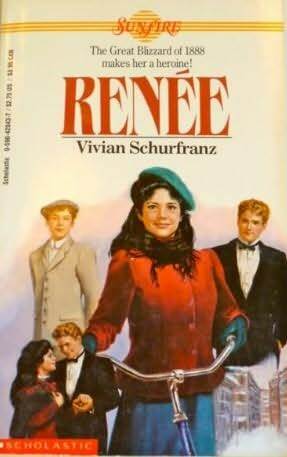 Recalling Mrs. Schurfranz and her quest to be a writer, I was curious if she had been successful. A search of the internet shows that she was. From 1975 to 1998, she had at least 19 of her books published, plus over 50 of her stories had been published in magazines. Her books, reflecting her interest in history and her training as an educator, were written mostly for pre-teens to early teens. About half of her books were historical fiction and half were historical romances. 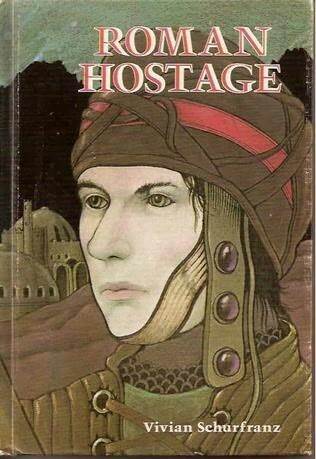 Probably her best reviewed books were her first, Roman Hostage (published by Follett Pub. Co.), and her last, A Message for General Washington (published by Silver Moon Press) . Both books remain in libraries and on reading lists for pre-teens. Set in the 4th century, Roman Hostage is about Ruric, a young Visigoth, who, unable to adjust to his life as a hostage in Constantinople, escapes back to his tribe and participates in the battle that brought a major victory to his people. The School Library Journal published this review of A Message for General Washington: "Grades 3-4. Easy-to-read historical fiction with a strong plot and understandable characters. Hannah, 12, is asked to travel from her home in Yorktown to nearby Williamsburg to deliver a message to General Washington. The trip is perilous, with traitors and spies ready to turn her in. She completes the journey successfully, meets Washington, and arrives home to see the war end. Subplots involving the fate of her father, who is fighting with Washington, and her strained relationship with her older sister save the story from being too plot-driven with hard-to-believe heroics. 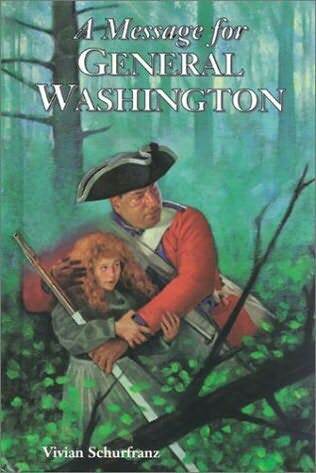 This book may lead reluctant readers on to more complex novels about the American Revolution.-Linda Beck, Indian Valley Public Library, Telford, PA"
I was very pleased to learn, belatedly, about Mrs. Schurfranz's success as an author. I hope that she still enjoys reading and writing, and that she knows that many of her former students still remember her with fondness and respect.